We feel like we’ve been missing something, and we’ve figured out what it is. In an effort to increase community news coverage of Howland, editors at the Howland Community News want to hear from you. We want to share your stories with our many monthly readers, but in order to do that, we need to know what your service groups, school organizations or community sporting groups are doing. We want to know about your Boy Scouts or Girl Scout projects and outings. Is your son or daughter working on a special Scouting medal or badge? We can’t publish a story or photo about it if we don’t know. We are looking for regular photos or club submissions from area organizations, whether it’s the Howland Rotary or Howland Lions. In fact, if your organization has regular speakers, gatherings or events, we are willing to offer free space in our weekly edition in order to accommodate a corner or column for your submission of words and photos about your service group’s activities. We welcome information about activities and events being held at the Howland parks and Howland SCOPE Center. We’d like to share that information in advance with our readers, along with photos and stories about the success of these events after they conclude. Are you an officer in a Howland athletic booster club? Send us photos from games and competitions. Tell us about new records or sporting accomplishments so that we can share it with our many monthly readers. The same goes for officers for Howland Youth League baseball and softball, soccer, football, basketball or any other community youth sports. We know these kids work hard to do their best and have fun. In order to give them the recognition they deserve, we encourage parents and coaches to submit photos and information from area games. All we ask is for submissions to include complete names of those pictured, permission to publish the information and a contact phone number or email address for questions. 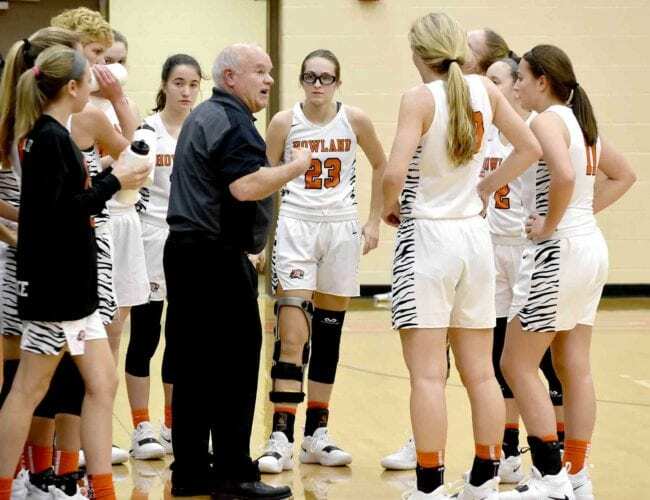 Youth coaches, contact us to discuss ways that you can have your team’s information and photos published regularly in the Howland Community News, beginning with the upcoming spring sports season. If you live in Howland and have a special skill or hobby, we are looking for column writers. Perhaps you’re a master gardener, a top-notch cook or a car enthusiast, for example, who would like to share your stories, we want to hear from you. Remember, we can’t tell your stories if we don’t know about them!